Brentwood PAC has a great way to keep their school supplies and clothing organized! 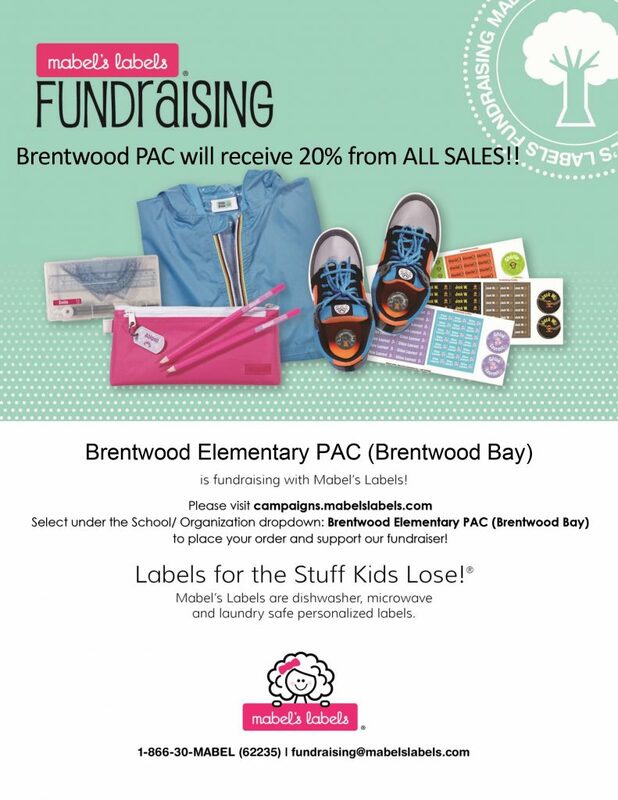 Brentwood Elementary has partnered with Mabel’s Labels and will receive 20% off all sales!! These personalized, durable and water proof labels help to keep kids organized. Ordering is as easy as visiting their website, customizing your labels and paying for them. They will be shipped right to your door. Thank you for placing your order and supporting our fundraiser.